The newly renovated Red Roof Inn San Antonio is just 6 miles from the San Antonio Airport and the North Star Mall, the largest mall in San Antonio! The Henry B. Gonzalez Convention Center is just 11 miles away and the Riverwalk, Alamo, Alamo Dome, and Tower of the Americas are all a short drive from the hotel. When you check in, check out our newly renovated rooms! The rooms at this Non-Smoking hotel feature free WiFi, large, flat-screen TVs as well as an in-room desk. Select rooms will included microwave & refrigerator, hairdryer, iron & ironing board and in-room coffee. Red Roof Inn San Antonio also features an elevator, exterior corridors, free parking and complimentary coffeehouse-style coffee & tea in the lobby. One well-behaved family pet per room is welcome. 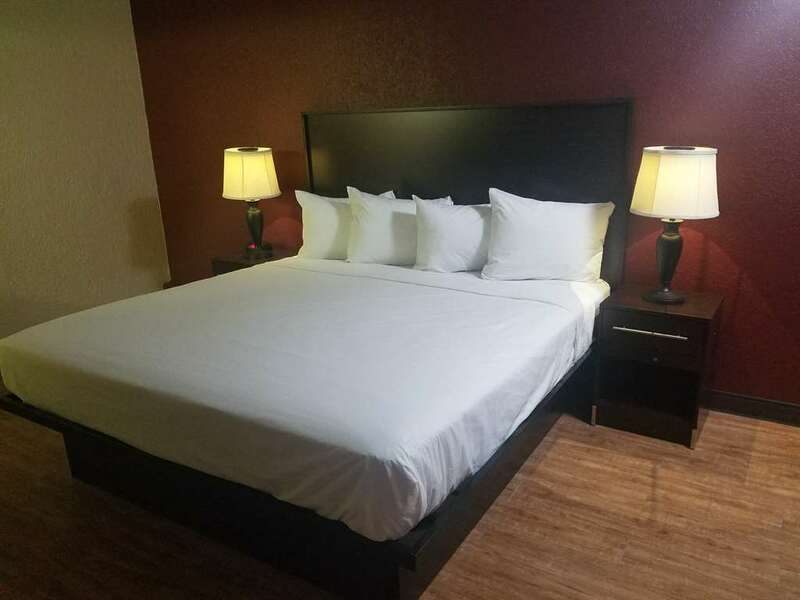 The newly renovated Red Roof Inn San Antonio is just 6 miles from the San Antonio Airport and the North Star Mall, the largest mall in San Antonio! The Henry B. Gonzalez Convention Center is just 11 miles away and the Riverwalk, Alamo, Alamo Dome, and Tower of the Americas are all a short drive from the hotel.